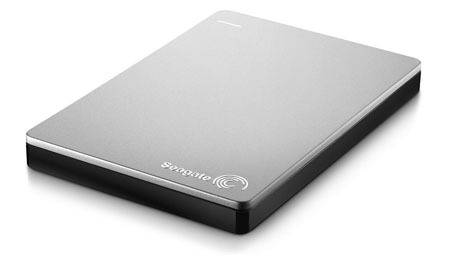 The Seagate Backup Plus Slim Portable Drive for Mac is the simple, one-click way to protect and share your entire digital life. The Seagate Backup Plus Slim Portable Drive for Mac is the simple, one-click way to protect and share your entire digital life. Perfect to take on the go, the sleek metal case design allows for the thinnest portable hard drive available with up to 2TB of capacity. It goes anywhere — without getting in your way. 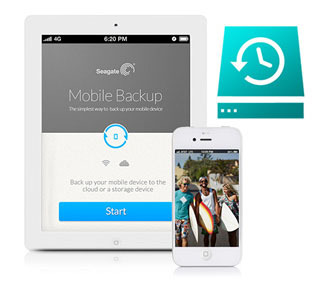 Use the Seagate Mobile Backup App to easily back up photos and videos on the go directly from your mobile devices to your Backup Plus Slim Portable Drive for Mac. The Backup Plus Slim Portable Drive for Mac works with Time Machine® software right out of the box to provide automatic backups. Don’t risk losing those great pics you’ve posted online. 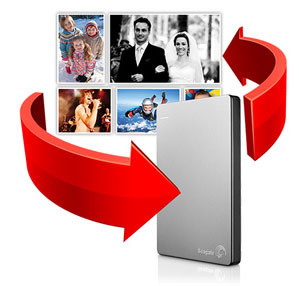 The Backup Plus Slim Portable Drive for Mac finally bridges the gap between your online life and the rest of your life, letting you automatically back up your favorite memories from Facebook and Flickr. You can even share new videos to your YouTube account.